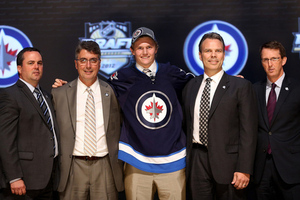 After Jacob Trouba, this could be the best draft pick the Jets have ever made. He’s instantly the most skilled player in the entire organization, and draws comparisons to Patrick Kane based on his build, skating, and offensive arsenal. Like Kane, he’s normal in height – nearly 6′ – but very slim at just over 160 lbs; his skating is quick and elusive, and like Kane, he’s just as good a finisher as he is a play-maker. Given more height and weight, he might have been in the running for the first overall pick. But instead the Jets were able to nab him at 9, and add a potential 1st line winger who will beautifully complement Mark Scheifele down the road. No one should expect Ehlers to play in the NHL this year or next – he needs a few years to fill out – but here’s hoping that he gets a taste of the AHL playoffs at the end of his junior season, just like Josh Morrissey did this past year. The Winnipeg Jets are killing the draft. Killing it. The NHL Entry Draft is the single most important recruitment convention in professional hockey. While Unrestricted Free Agency may get a bit more attention because of the movement of established players, the impact that the draft has on an NHL team completely dwarfs UFA day. While you can always fill holes in your line-up with free agents – a #4 d-man, a 2nd line right winger, maybe even a starting goalie – the ability to get a franchise player is an exclusive *draft-day privilege. *Some people will point to trades as another way to acquire top talent, but in most cases, you can only get quality by giving up quality, meaning you need to have drafted/signed well in the first place in order to make a trade. The one exception is in the case of trading away high draft picks, like the Toronto – Boston trade involving Phil Kessel and two 1st round picks, which became Tyler Seguin and Dougie Hamilton. I watched a TSN draft retrospective yesterday, which briefly chronicled the historic 2003 NHL Entry Draft. This is the draft that was instrumental for several Stanley Cups of the past 8 years, including Carolina (’06 winner), who took Eric Staal 2nd overall; Anaheim (’07), who stole both Ryan Getzlaf (19th) and Corey Perry (28th); Pittsburgh (’09), who drafted M.A Fleury – 1st overall; and Boston (’11), who plucked Patrice Bergeron at 45. Other impact players taken in the 1st round – and there are too many to mention – include Zach Parise, Thomas Vanek, Ryan Suter, Jeff Carter, Mike Richards, and Ryan Kesler. I also look at their regular-season stats, taking into consideration the league they played in (OHL/QMJHL a little higher scoring than WHL, which is far higher scoring than European pro leagues), their age (i.e some players are born in ’94 and, all-else-equal, should have better stats than their peers born in ’95), and whether they had any supporting players/environments which may have benefitted those stats. (For example, Nic Petan in Portland had the most points of any draft-eligible player, but the Winterhawks were an offensive juggernaut…). Now, without further ado, here’s the mock draft. If you’d like more info on some of any of the prospects, check out yesterday’s write-up on the top-20 prospects. The NHL Entry Draft is the place where championships are born. 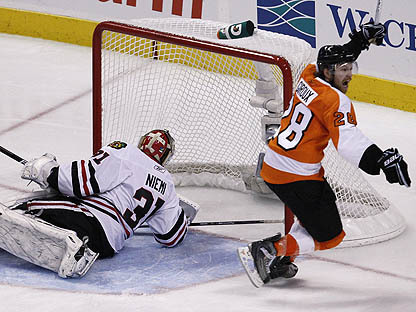 Look no further than Chicago’s victory last night, where 2007 1st overall pick Patrick Kane took home the Conn Smythe. When Chicago won the cup in 2010, it was Toews – picked 3rd overall in 2006 – who won Conn Smythe honours. 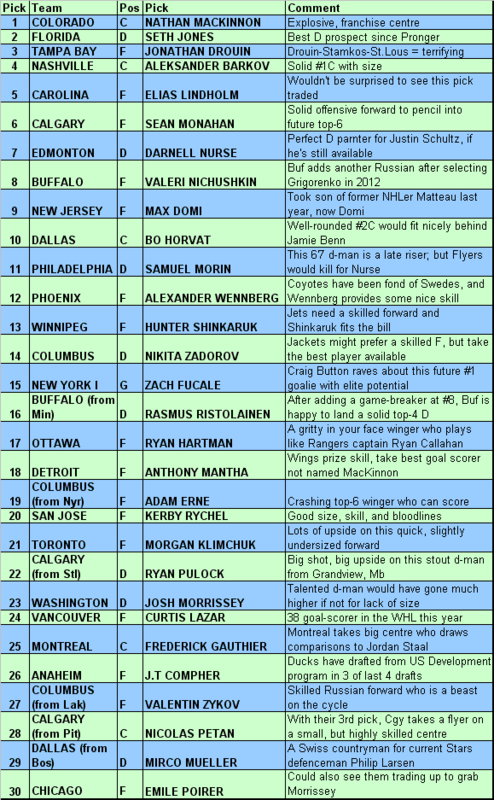 My first look at 2013 NHL Entry Draft is a look at the top-20 prospects. This year’s draft is deep – not only are there three 1st overall-quality players at the top, but there are several quality players available well into the middle of the first round. Keep in mind that – barring any trades – the Jets pick at #13. Note: The list below isn’t intended to be a mock draft. (That’s coming later this week). It’s just a quick glimpse into the top prospects, and an approximation of their long-term potential based on what I know about them from stats, scouting reports, etc. 6’4, 200+, with the skating ability and coordination of a much smaller man. Scouts and coaches are impressed with the way he thinks the game and sees the ice, particularly offensively. He also has great athletic pedigree (his father played in the NBA) and is mature and confident, even bordering on cocky. He’s easily the best defensive prospect since Chris Pronger, who was drafted 2nd overall in 1993, and the vast majority of independent scouting services have ranked him as the top prospect in this year’s draft. This Nova Scotia born scoring sensation is drawing lofty comparisons to current NHL stars. I watched him play at the Memorial Cup and the two players he reminded me of were Sidney Crosby and Steven Stamkos. He’s a right-handed sniper, with a cannon of a wrist shot, hence the comparison to Stamkos. But he’s built like Crosby – just under 6’, with a very strong lower body, and quick, powerful strides. Ultimately I don’t think he quite has the skill-set of either of those prodigees, but the way he attacks the middle, drives to the net, and competes on every shift was very impressive. Some lucky team is getting a franchise player. While I don’t think he’ll be drafted prior to the two studs above, Drouin was the one that impressed me the most of the three. His speed and skating ability is high end, and his hands are absolutely incredible – on par with Patrick Kane’s, but the most impressive thing is his vision. The ease with which he could spot a teammate on the other side of the ice, pick the spot where he’s going to be, fire a saucer pass over two sticks, and have it land softly and perfectly on that player’s stick – it almost sent chills down my spine. He made it look so easy. He also has a ton of energy, and is almost as good a goal scorer as he is a playmaker. This guy is going to put up a boatload of points when he gets to the NHL, and the possibility of him going to Tampa Bay and being paired with Stamkos for the next decade should terrify Eastern Conference opponents. Barkov flies under the radar a bit because of the players ranked above him, but most of the scouts who have watched him frequently have been very impressed. A handful of scouts think he is the best forward available, based on his abundance of size, composure, scoring, and passing ability. His only flaw is that his skating is considered average, but no one thinks that will be a major concern, since as he’s already well sized at 6’2, and over 200 lbs. 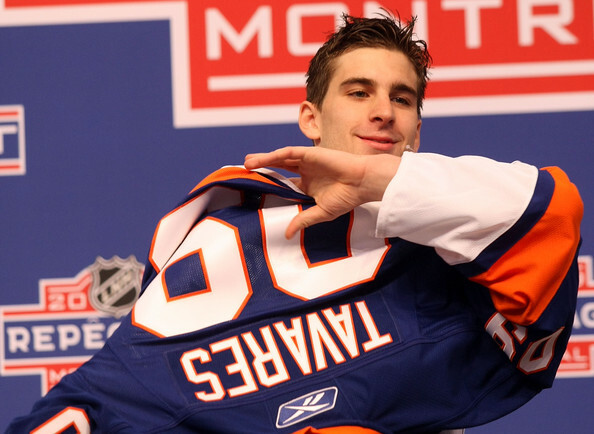 For those who remember the 2009 draft, many scouts worried about John Tavares’ skating on draft day; no one is worried now. What’s a top-ranked Russian forward without a little volatility. Some scouts look at Nichushkin and drool – he’s 6’4, 200 lbs, with impressive speed and hands. He likes to use his speed and power to take the puck wide, and then drive hard to the net, like he did in the bronze medal game of the World Junior’s where he scored the winning goal against Canada. But whether the concerns are founded or not, many hockey people paint Russian players with the same brush. They remember all too well talented underachievers like Alex Kovalev and Maxim Afinogenov. They see the trouble Washington have had in signing their 2010 1st round pick, Evgeny Kuznetsov, who remains with his Russian team in the KHL. And worst of all, they worry about the lure of the KHL’s tax-free, incentive laden deals, which prompted Alex Radulov to break his contract with the Nashville Predators in 2008, just as he was poised to reach his prime. For all these reasons, Nichushkin and his agent have reassured teams that he will be coming to play in North America next year, regardless of where he is slated to play – NHL, AHL, or even junior hockey. Though he doesn’t possess as much upside as the players listed above, scouts see Monahan as a very safe bet. 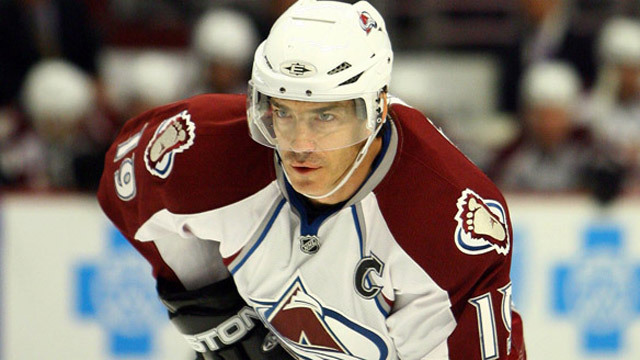 He has good size, offensive ability, and on-ice awareness, and is said to play a reliable, two-way game. Most scouts think he will be at least a 2nd liner, if not more. Every reputable scouting service has Monahan in their top-10, but virtually no one ranks him ahead of the top-5 listed above. Lindholm is a very creative player who has been honing his skills against men in the top Swedish League, the Elitserien. A forward who can play centre or wing, he likes to play a puck possession game similar to other Swedish players like the Sedins and Nicklas Backstrom. He has the hands and stickhandling ability needed to hold onto the puck while the play develops, and while he’s more of a playmaker than a shooter, he uses speed and elusiveness to take the puck to scoring areas. He’s the last forward considered to be a concensus top-10 pick, and could go as high as #5 or as low as #9 depending on who’s picking. The general concensus is that Nurse is the 2nd best defenceman in this year’s draft. At 6’4, he has a big, lanky frame which should fill out at well over 200 lbs once he matures physically. While he can skate the puck out of his own zone, or make a good outlet pass, the strength of his game is on the defensive side, where he uses his long stride and active stick to break up plays. He also plays a tough game, and blocks a ton of shots. Despite good junior stats, he doesn’t project to be an offensive defenceman at the next level, but scouts insist that he is the kind of player that every team needs in order to go deep in the playoffs. One of the most polarizing figures in this year’s draft, Domi is ranked as high as #9 by some scouting services, and as low as #25. Domi garners a lot of extra attention due to his lineage – though it must be said that Max plays plays nothing like his hard-fisted, and equally hard-headed father, who racked up 3515 PIMs in his NHL career. Instead, the younger Domi wows crowds, opponents, and even teammates with his ability to make skillful plays at top speed. (Witness this Between-the-Legs Sauce pass he made in the OHL playoffs). Talent and style wise, he reminds me of both Brad Marchand and Marty St. Louis – fast, skilled, gritty, and very capable of breaking a game open with a burst of speed and a nice finish. The only concerns scouts have about him are his size – 5’9, and the fact that he suffers from type I diabetes. However, his defenders say that his size is irrelevant – he’s a burly 195 – and that as a result of his medical condition, he’s been forced to take on a stringent nutritional regime which actually puts him way ahead of any other player his age. Despite the concerns, most people in the know think that he’ll go much closer to #9 than #25. This hulking Russian is listed at 6’6, 220, and is just 18 years of age. 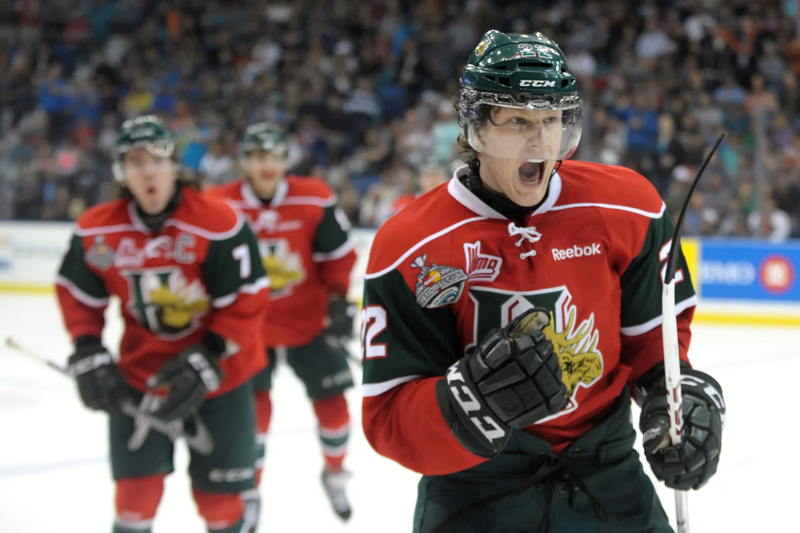 London Knights Head Coach Dale Hunter raves about him, saying that his potential is limitless. While he projects as a shut-down defenceman at the NHL level, you’ll occassionally see oversized players like him lose their coordination in their teens and gradually develop their offensive game in their early, or even mid-20’s. (See Chara, Zdeno; Myers, Tyler). Most scouts see him as a top-10 pick, but some teams remain leery of drafting a Russian this early – even one who played the year in the OHL. An exciting offensive forward, Shinkaruk draft stock was a little higher last year after he scored 49 goals in in 66 games with Medicine Hat of the WHL. While he didn’t necessarily disappoint this year, his goal total fell to 37, and he failed to make Canada’s World Junior team as an 18 year old. Nonetheless, he shouldn’t have to wait long to hear his name called, as most scouts see him going just after the top-10. A two-way forward with decent offensive ability, Horvat’s stock climbed in the last few months after he helped lead the London Knights to the OHL championship, scoring 16 goals in 21 playoff games. While scouts like his all-around game, he doesn’t have the offensive upside of the forwards slated to go ahead of him. A flashy offensive defenceman who can lead the rush and quarterback the powerplay, Morrissey also plays a somewhat physical, two-way game. The question is whether he’ll be able to do that at the next level, as his size – ~6’, 185 – may be a limiting factor. 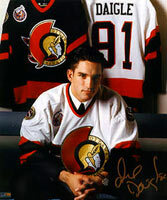 A hard-nosed power forward who loves crashing the net, Erne is the type of throwback player that most GM’s – many of whom are former NHLers themselves – would love to have on their team. While he didn’t score at a blistering pace this past year – 72 points in the high-scoring QMJHL – it is noteworthy that he led his team in scoring. Wennberg had a good season playing against men in Sweden, putting up 32 points in 46 games in Sweden’s 2nd league. He has good hands, good hockey sense, and is pretty well-rounded for a young player, but like most of the forwards ranked outside the top-10, there are questions about his ability to produce big numbers at the next level. A smooth defenceman with a good frame (6’3, 203), Ristolainen’s all-around game is impressive when playing against his teenage peers. But it isn’t clear what type of player he’ll be at the next level, as he lacks high-end skill, or an obvious mean streak. Standing 6’7, and with a good skating stride for a player his size, it’s no surprise that Morin is drawing plenty of interest. He uses his smarts and anticipation as much as his large frame, but scouts are hoping he’ll become more physical as he starts to fill out. Like most towering players, he hasn’t shown much of an offensive game yet, but he does have a hard shot. The only 50-goal scorer in this year’s draft class, opinions range on Mantha’s long-term potential. Craig Button ranks him as the 16th best prospect, while the Red Line Report doesn’t even have him in their top-30. 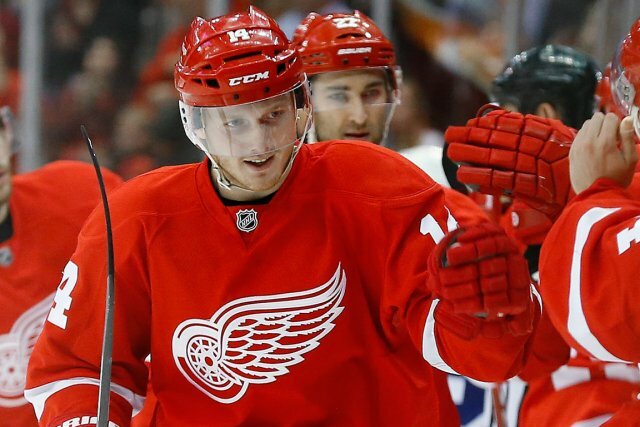 While no one questions his skill-set, Mantha has been characterized as “lacking intensity” – one of the biggest flaws one could level against a young prospect. And although he has a big frame at 6’4, he’s criticized for being a finesse player, who doesn’t use his size effectively. The polar opposite of Mantha, Hartman is small, quick, and an intense competitor. He plays a bit like Rangers captain Ryan Callahan, with great determination, and a high compete-level. And although he doesn’t wow you with skill, he can still chip in offensively. At 6’5, 210, and yet to fill out, Gauthier brings an intriguing blend of size and skill. He may not have high-end skill or skating ability, but he has been described as difficult to play against, and may play a similar role to Jordan Staal once he gets to the NHL.